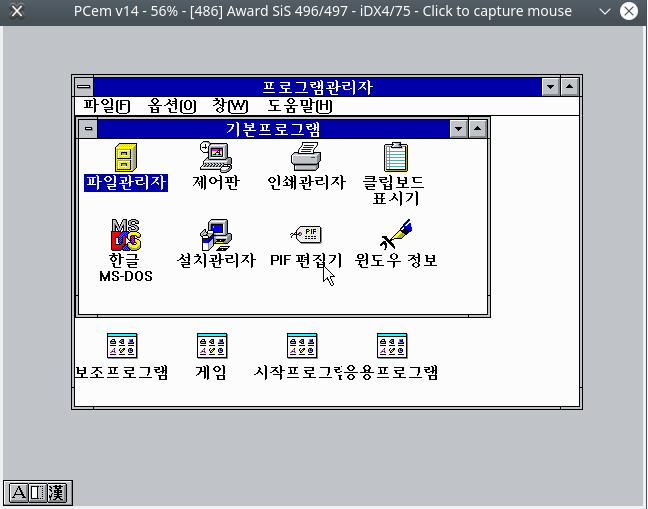 This patch applies experimental implementation for Trigem Korean VGA which is ET4000AX compliant and supports KSC-5601 Korean character set specification. If you need BIOS ROM, font ROM and device driver for it, please send send your e-mail address as PM for me. And this patch allows select ET4000AX video memory to 512KB or 1MB. This patch applies experimental implementation for Trigem Korean VGA which is ET4000AX compliant and supports KSC-5601 Korean character set specification. Reworked against rev 1200. And this patch allows select ET4000AX video memory size to 512KB or 1MB. You seem to have used HBIOS, a general-purpose driver, not the Trigem Korean VGA driver I sent you. Merged Trigem emulation at rev 1201. I've left the ET4000 memory size selection out as it seems to rely on a hack.